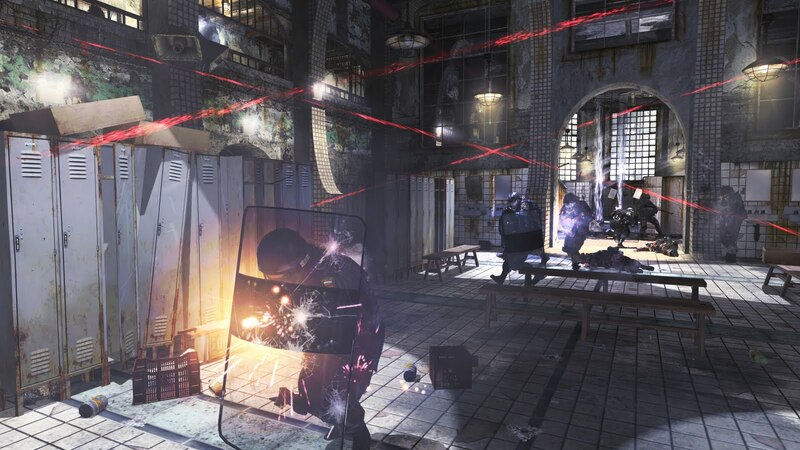 In case you haven't already picked up your copy of the latest installment of Infinity Ward's classic take on near-future gun-shooting, and you say you're "on the fence" for this game, then please read on. Apparently, analysts are predicting over 7 million day-one sales world-wide, and Activision estimates 4.7 Million copies were from North America and UK alone. So what's the big deal? Why do my feet stink? All very good questions. Press on after the jump to get our full impressions. 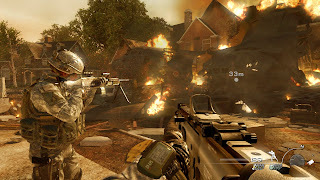 Modern Warfare 2 picks up 5 years after the events of the first. 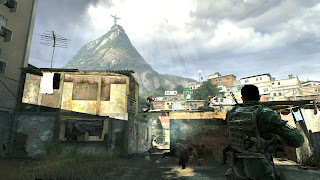 Once again, you're put in control of multiple roles throughout the game, from an Army Ranger, to a CIA Operative, you will again traverse the globe in like-fashion; everywhere from Afghanistan, to Rio de Janeiro, to the always scary to think about scenario of our own back yard, in Virginia and Washington DC. You'll get to use a few new weapons and gadgets as well, and there are some very cool ones! But I have to take a step back and think, is this THE epitome of all gaming kind? Can this title truly live up to the hype? Is this the Game of the Year even? We don't think so, but that doesn't mean it's without praise. The single-player campaign is where most will start. And most will finish between 7-10 hours depending on your skill level and the difficulty on which you are playing. I clocked in at just over 8 hours. As previously mentioned you will participate in a variety of missions, from stealthy, sniper-like missions, to full-blown firefights through the Favelas in Brazil. 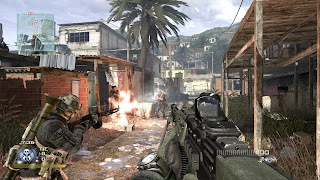 You'll even participate as an undercover terrorist, unloading on innocent civilians in a missions that's attracting a lot of heat for it's violence. Fret not, ye who offend easily, you can turn this mission off with no downside to the story progression or loss of precious achievements. Sort of begs the question of "why put it in their in the first place?" After you mop up in the campaign, you can proceed to this years all-new feature, Special Ops. You (or you and a friend) can take on a variety of stand-alone time trial, or mission-based levels to compete for stars. Earn an amount of stars to open up more levels, and get all stars to achieve maximum play! 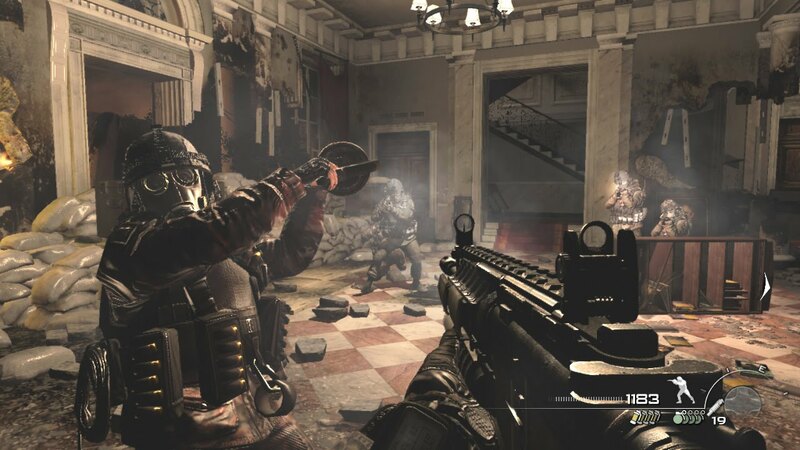 Lastly, but what most will clamor for, is the Multiplayer. The last iteration built such a following, that there's no doubt if you're a fan of online fragfest's, this is the games bread and butter. It's what shines and will play on until undoubtedly the next installment is released. Building on the premises of the last title, you continue to earn XP as you play, and can customize your character even more than before. 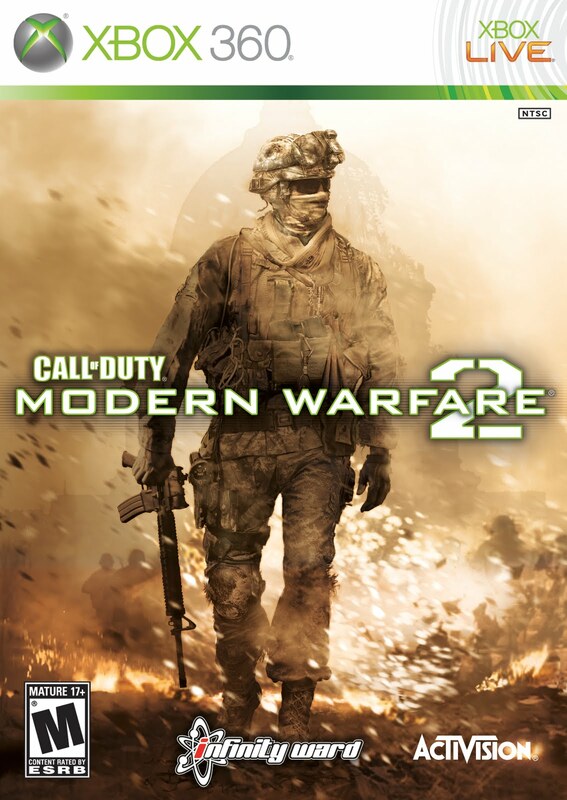 In the end, the Modern Warefare 2 campaign is Modern Warfare 1, with slightly different scenarios. There are little changes to gameplay, and what changes there are, are subtle. But why mess with the formula? 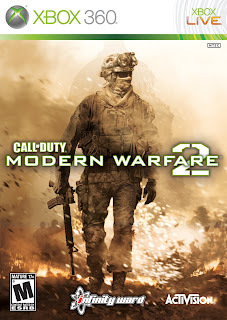 Infinity Ward has honed the console FPS down to a science, they could churn one of these bad boys out annually, (and Activision would LOVE that); For the multiplayer, you'll keep coming back, but as for me, I'm hoping they set out to innovate a bit more of the single-player next time. *editors note: We did receive a copy of the game from the publisher for review purposes. We did not receive a script of what to write.